miche throwback thursday | Sophisticated Diva ~ A.K.A. Along came Polly! Jordan for Demi bags is available TODAY ONLY for just $13.50! Contact your MICHE Representative to get this delightfully stunning Shell and begin your transition into spring a little early this year! CLICK HERE to go to my miche website and shop online!! Miche Throwback Thursday! A great bag for Prima lovers and a perfect shade of winter white that will also take you right into Spring! The Charlee Prima is only $18 only today! Sale will go live at 11:00 AM Eastern Thursday and end at 2:00 AM Eastern Friday. Matching handles are also available. CLICK HERE to grab yours!! *Don’t forget to check out the newest releases!! The beautiful Serena Bucket bag is already quantity depleting, so if you just have to have her, don’t miss out! Say hello to the wild yet feminine Gloria Miche shell, for classic Miche bags! HERE Today only, but only while supplies last! 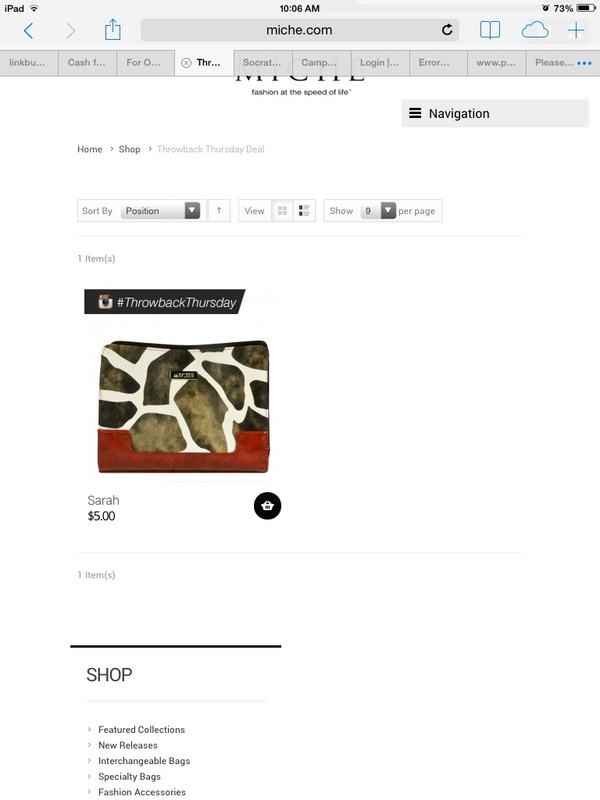 Just click throwback Thursday on the website…but don’t forget to check out the beautiful new Miche releases available there too! The gorgeous Serena bucket bag with accessories are new, but they may not last for long! Miche Throwback Thursday Jan 15 2015!! Jennica Demi!! Add a little sass to your wardrobe with DIJON COLOR and SNAKESKIN!! 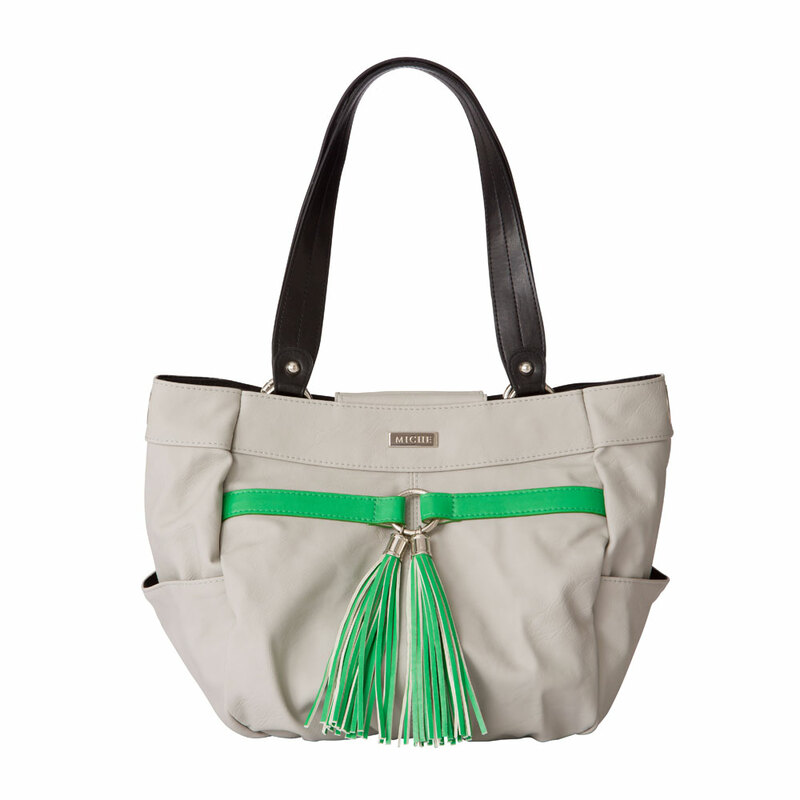 It’s Miche throwback Thursday, and the Jennica Demi shell is only $15 today only, and ONLY WHILE SUPPLIES LAST!! This is a demi shell— get it now! CLICK HERE TO ORDER! 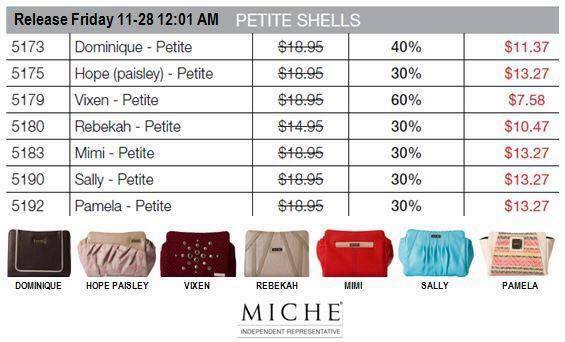 Miche fabulous Throwback Thursday shell!! 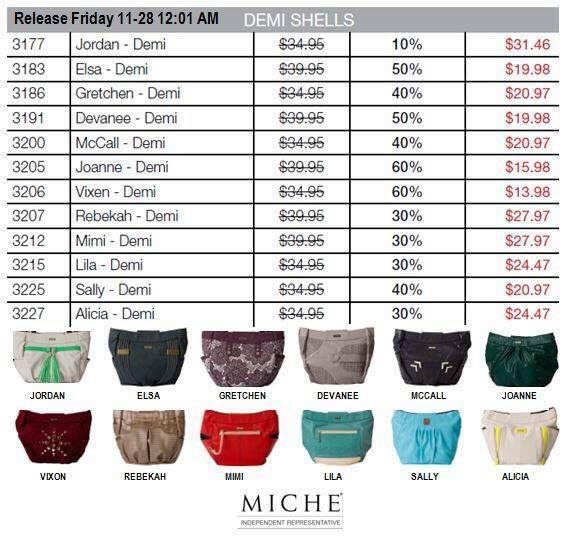 Only $15 gets you the Aubrey Miche shell “while they last” today only!! TODAY through January 9th, at 8am, or while supplies last!! Don’t miss out on this beautiful shell, Aubrey for the Demi base is simply elegant! CLICK HERE to grab her for only $15.00!!! To begin with, her ultra-soft faux leather in deep shades of charcoal and plum is sultry and alluring. Add in clever asymmetrical styling and perfectly-placed pleats and the Aubrey for Demi bags becomes absolutely irresistible! Where will she take you? Back zippered pocket. Oval-bottom slim design. 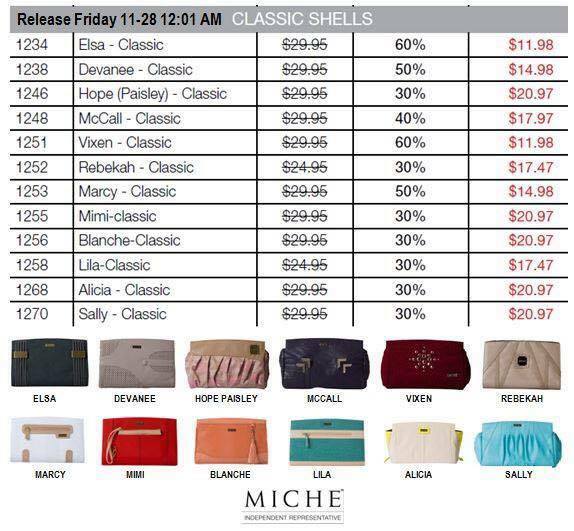 Miche throwback Thursday 11-20-14 * Miche Black Friday is coming! 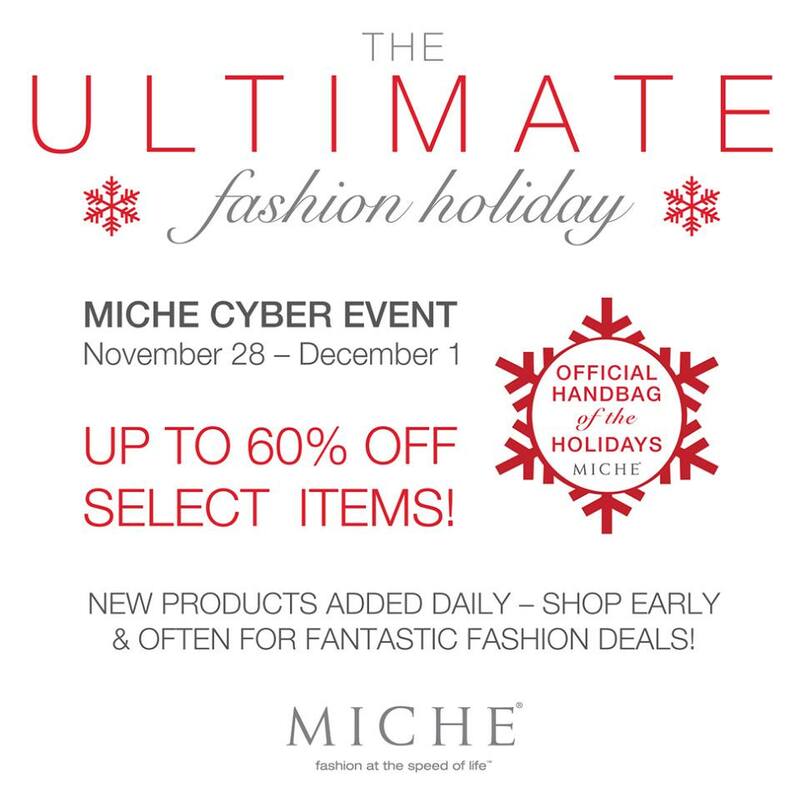 This is the last Miche throwback Thursday for the remainder of the year…..because Miche Black Friday and cyber weekend is COMING soon! 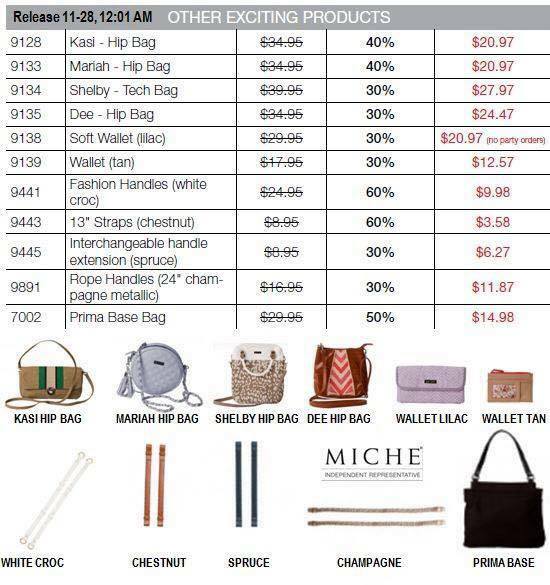 You won’t want to miss these stellar deals….so make SURE you subscribe to get your Miche information CLICK HERE to get Miche sales updates from me! I’ll even be available to assist you with your order during this busy busy time! My phone number is 815-721-5549 and I will be up during the event (yes, even during those “wee hours” to assist my customers personally! Just ask for Polly! 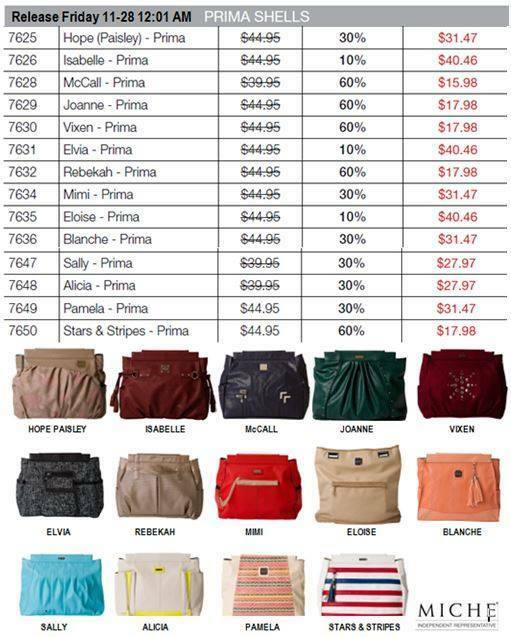 Sarah is your Miche throwback sale of the day! For the petite base, with a touch of wild, $5.00 today only while they last! Order a few of these, they make great gifts! CLICK HERE to get Sarah now!